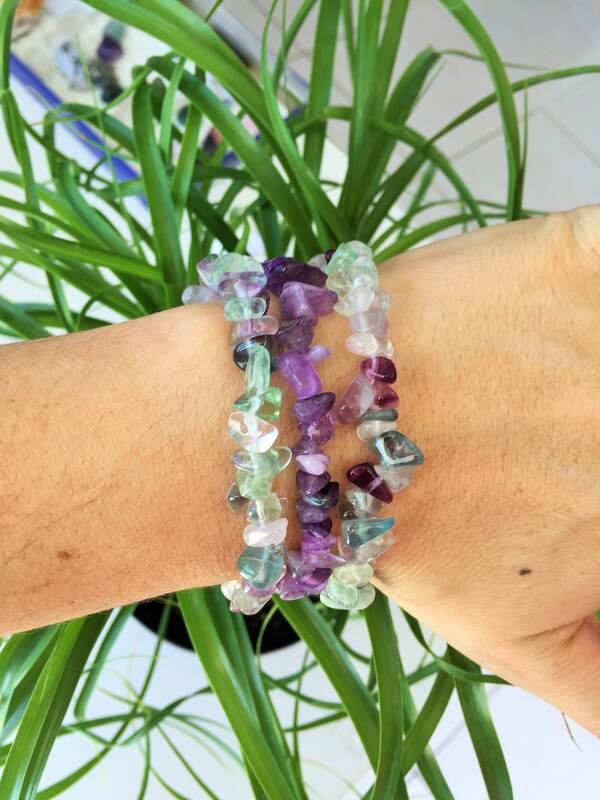 Increase inner peace while connecting to your intuition with the mystical energies of Rainbow Fluorite and Amethyst, this Chakra Healing Bracelet SET helps to open, activate, and balance the Crown Chakra. This listing is for THREE (3) Bracelets. Due to its elasticity, will fit all wrist sizes 6 - 8 inches. Your Sacral Chakra is the home of your creative and sexual energies, it is dedicated to your relationship to people and circumstances, procreation- your ability to nurture and give birth to the seeds of life. Your sacral chakra also relates to issues of power specifically, your financial and sexual power as well as your power in terms of business and social interactions. Your sacral chakra is also associated with your desires, intimacy and sensual connections, and the undisturbed flow of your emotions and the expression of your feelings. It is also a very sacred and powerful place to manifest your dreams and desires, as well as work through your fears and boundaries. 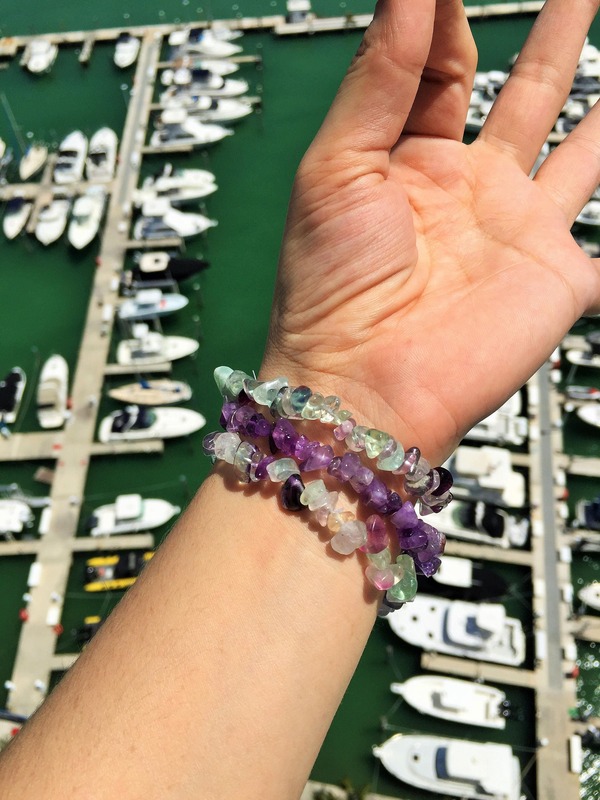 To activate your Chakra Healing bracelets, sit quietly, holding your pieces in both hands. Breathe in the highest white light and visualize your intention for your jewelry. It is now ready to wear.